Discussion in 'Console Games & Hardware' started by ThestigGT999, Dec 17, 2013. I love P v Z on android, so will be bagging this for sure! Was also one one of my favourites during E3, will definitely be picking this up. After watching the multiplayer videos it looks very much like team fortress 2 mixed with battlefield conquest mode. The sunflower heals players just like a medic does in TF2 and the soldier zombie also has a rocket launcher. There's an armoured zombie with a minigun also lol. Should be excellent as it's obviously been modelled on two highly successful titles. Definitely going to buy this but not sure if it will be a physical copy or a digital download. 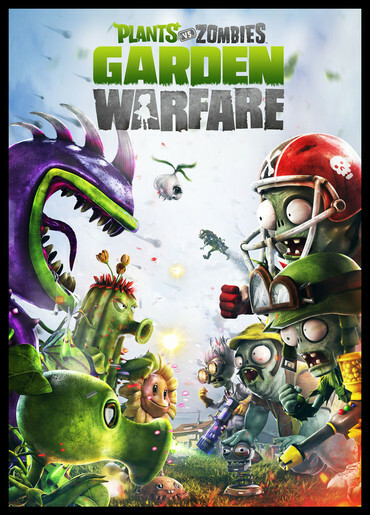 But i do love me some PvZ. Was not expecting to see that when I watched the video, looks pretty good! Has anybody else got this on the xbox one and fancies teaming up at some point? So what's it like then? Tempted to buy it on the 360. Can it be played with Xbox One players? Going to grab it once I finish work today. How many players can play online? I know it has 4 player Co op. You can do vs mode as well but I'm unsure on the player count. It's ok for a blast but I wish I'd tried it before i hit the buy button, it's nothing special in my opinion.